Βιογραφικό: «Swedish band JONO started as a solo project of singer Johan Norrby (hence the moniker ”JoNo”). A record was made and released in 2006, involving some of the members of today’s band setting. JONO as a band started out at that point and has carried on ever since. Singer and songwriter Johan Norrby has been singing, writing and playing music in countless bands and projects over the years - which very much goes for all of the guys in the band. The guitarist, Stefan Helleblad, is also a member of Dutch symphonic rockstars Within Temptation. The drummer Nicka Hellenberg actually played all the drums on Within Temptation's album "The Unforgiving" and is involved in several band settings and recordings. Both keyboard player Johan Carlgren and bass player Janne Henriksson are frequently hired for both live and studio sessions. Leo Olsson - also a busy musician - joined the band in 2015. 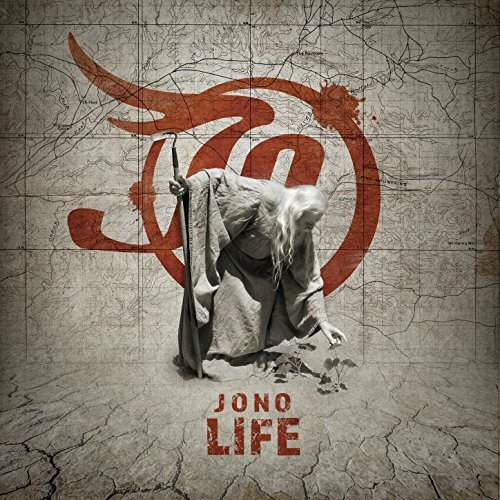 JONO’s music is hard to pinpoint. Maybe it's best described as Melodic Rock with symphonic and progressive elements - always, based on strong melodies, with bombastic arrangements. Dynamics and a contemporary, fat sound are important ingredients of the JONO recipe. ROCK STAR 13 Οκτωβρίου 2017 - 11:58 μ.μ. Τι γλυκό! Ωραίο κομμάτι και πολύ ωραία φωνητική ερμηνεία. Δεν τους ήξερα αλλά θα τους μάθω αν και τα υπόλοιπα τραγούδια τους είναι τόσο όμορφα. BALADEUR 14 Οκτωβρίου 2017 - 10:30 π.μ. METAL BLOGGER 14 Οκτωβρίου 2017 - 12:30 μ.μ. BALADEUR 15 Οκτωβρίου 2017 - 11:46 π.μ.